totally loving these pants and shoes! perfect combo! You look gorgeous ! Love it ! It looks really cool! I've always loved how black, camel and leopard print look together :) Those sandals are amazing. Those leather pants are so rock. I love the way you paired it with a maxi sweater! Those heels are so gorg! Love the look! I love everything about this outfit - texture, colors and how it look on you! Just perfect! Lovely sweater! I have the same one! Check out my fave of today! Oh my word you shoes are amazing!! I love them. This whole outfit is great! Beautiful camel sweater! 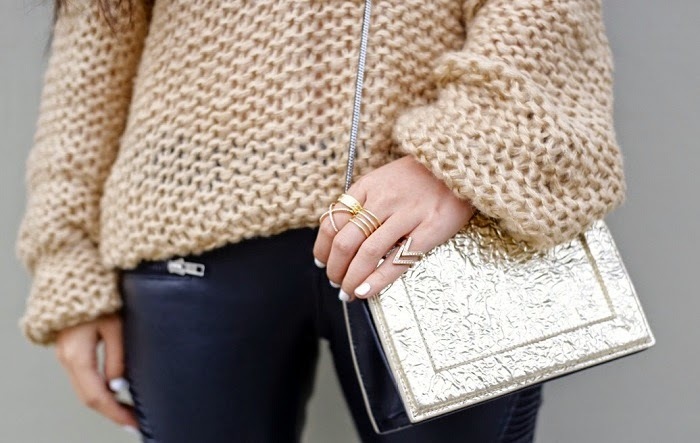 Love the cozy sweater contrast with the cool leather pants! This outfit is so good! I love the sweater!! general look is really good! I like your shoes! as far as you are a blogger and you often deal with photos, perhaps, you will find my photo app really useful and interesting. warmly welcome to try it here: carde-app.com. thanks a lot, Sasa!! That sweater is to die for. Great look!